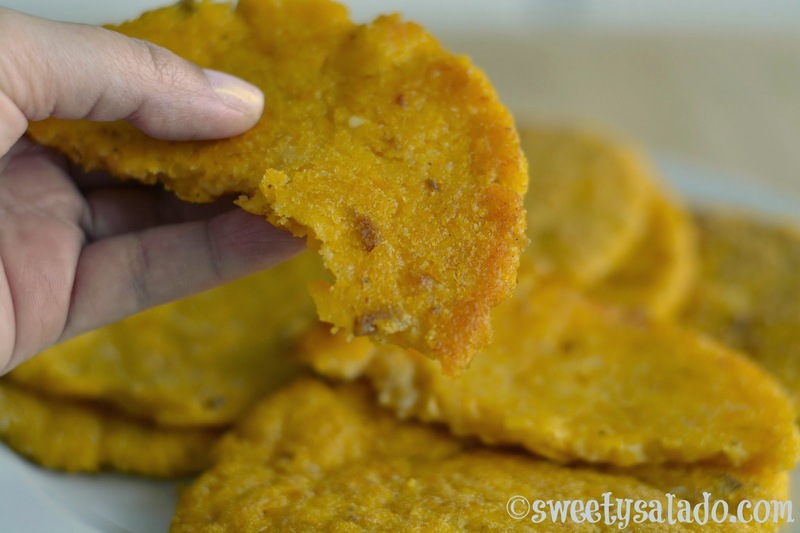 Years ago, while I was going through my Colombian cookbooks, I found the recipe to make arepas santandereanas, which are arepas that come from Colombia’s department of Santander. 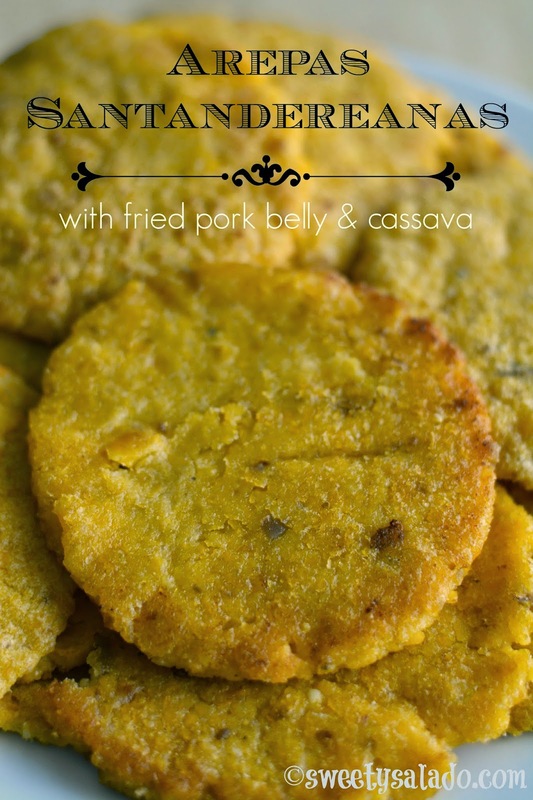 It really caught my attention because they are different from the arepas I grew up eating since they are made with cassava and fried pork belly. I couldn’t make them for the longest time because I never had all the ingredients that I needed. If I had hominy, I didn’t have cassava. If I had fried pork belly, I didn’t have hominy. And if I had cassava, I didn’t have hominy, nor fried pork belly. Having all of those ingredients on hand when you live in a country that is so far away from Colombia can be complicated at times. When I was finally able to make them, I completely fell in love with them. The primary flavor that the arepas have definitely comes from the yellow hominy, but the flavor changes a bit with the cassava, and especially with the fried pork belly, it’s incredible. I’m not going to lie, but these arepas take a very long time to make. Well, not the arepas themselves but cooking the hominy and the pork belly can take at least a couple of hours. But if you do decide to make them at home, you will see that they are totally worth it. 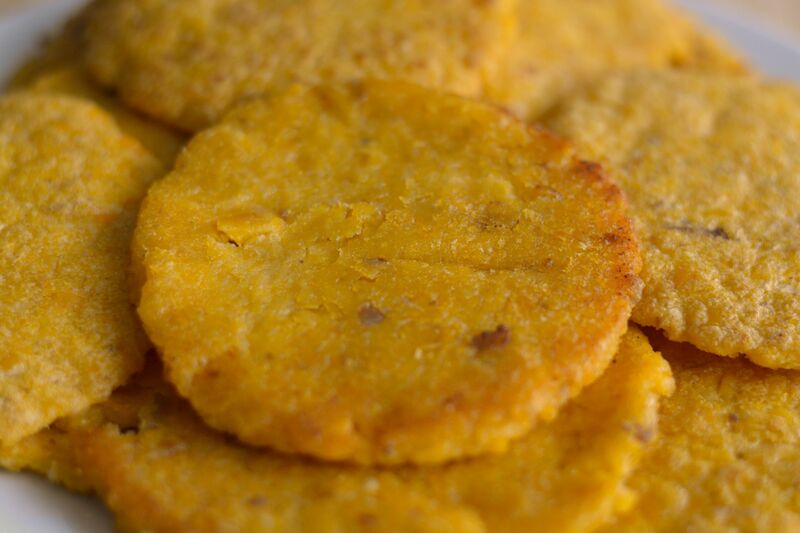 They’re different to many other Colombian arepas and this recipe is a must for those people who call themselves arepa experts. Place the hominy in a large bowl and take out any dirt or bad corn kernel you may find. Then, rinse the hominy with water and drain it. Finally, cover it with enough water and let it soak overnight at room temperature. The next day, drain the hominy and put it in a medium pot. Cover it with enough water, season with salt to taste, cover the pot and bring the water to a boil on high heat. Then, reduce the heat to medium low and cook the hominy for about 2 hours or until tender. Every now and then check the water level and add more if you think it's necessary. Once the hominy is ready, drain it well and let it cool completely. It's very important to make sure that the hominy is as dry as possible so the "masa" or dough doesn't come out too soft and watery. Grind the hominy, cassava and fried pork belly using a food grinder or a food processor until you get a smooth dough. Taste for seasoning and add more salt if needed. Let the dough rest to dry for at least 20 minutes so it's not too sticky to work with. Make small balls with the dough and flatten them with a tortilla press, the bottom of a plate or a pot. Cover a pan or grill with butter or oil and grill the arepas on medium high heat for 3-5 minutes per side or until golden brown.